Lidar technology has evolved rapidly since the invention of the laser in 1960 and has pervaded commercial, medical, and other sectors. Recent DoD airborne 3-D lidar deployments (ALIRT-NGA; HALOE-DARPA/AF; BuckEye and JAUDIT (TACOP)-US Army; Machete-US Navy) have proven lidar surveillance and targeting capabilities in Iraq, Afghanistan, AFRICOM and USSOUTHCOM regions. 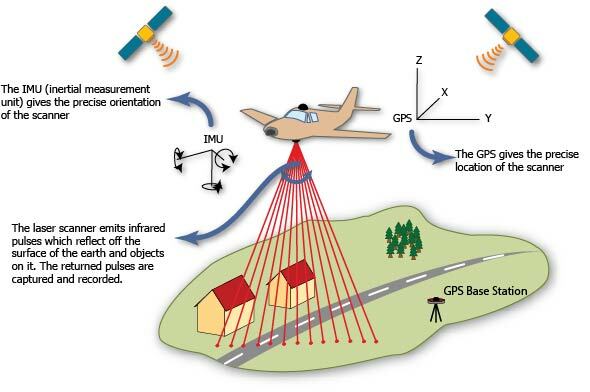 The key attribute is that 3-D lidar can augment existing sensors to increase the ISR enterprise capability since no single sensor is able to provide all of the required actionable intelligence. Q-Peak has been actively involved in developing lidar laser sources for various types of system applications to include Flash, Push Broom, and Flying Spot lidar systems for geospatial mapping, object identification, and atmospheric monitoring. Airborne lidar laser sources come in various VIS/NIR wavelengths with pulse repetition frequencies from a few Hz to kilo-Hertz, and pulse energies from micro-joules to 100’s of mJ, depending on the application.